policy makers/registration authorities at the national/EU scale. make scientifically-based assessments of how the implementation of mitigation strategies will reduce pesticide contamination of adjacent water resources. 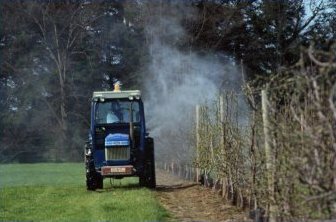 The three tools share the same overall philosophy and underlying science and therefore provide a coherent and integrated solution to pesticide risk assessment and risk reduction at the various scales. The tools developed within FOOTPRINT allow stakeholders to make consistent and robust assessments of risk of contamination to water bodies relevant to management, mitigation and regulation (i.e. field/farm, catchment and national/EU). In particular, they allow pesticide users to assess whether their pesticide practices ensure the protection of local water bodies, and provide site-specific mitigation recommendations. The FOOTPRINT tools are expected to make a direct contribution to the revision of the Council Directive 91/414/EEC, the implementation of the Water Framework Directive and the future Thematic Strategy on the Sustainable Use of Pesticides. The project began in 2006 and the scientific and technical work were completed and reported in 2009. Additional work was ongoing on the project until late 2010 to make the tools and sample data sets publically available. Work was also completed in late 2010 on updating the PPDB with FOOTPRINT consortium data and completing other FOOTPRINT related outputs.